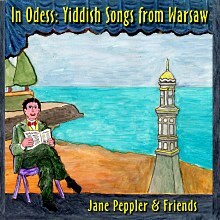 I posted this song at my Polish Jewish Cabaret blog because a version of it was sung by Shlomo Lindenfeld, a darling of Warsaw cabaret in Yiddish between the wars. 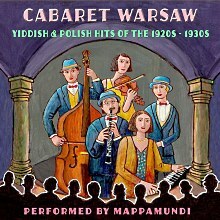 Also, my band Mappamundi recorded the Polish version of this song - written in the 1930s and called Stara piosenka - on our Cabaret Warsaw cd. 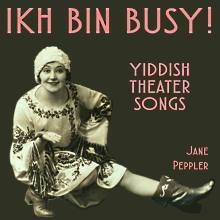 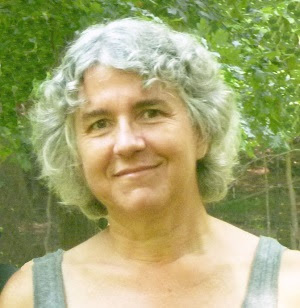 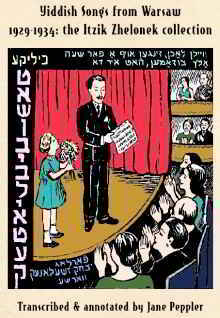 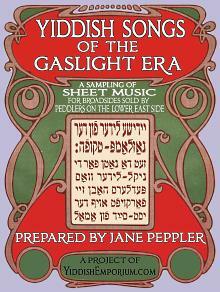 The song belongs here, as well, because its text is among the Yiddish Penny Songs. 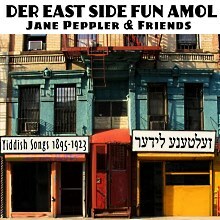 On the songsheet it is credited to an F. Zinger who has now been identified as Fishl Zinger (Fishel Singer). 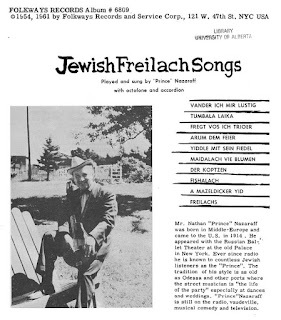 The Zilberzweig Leksikon confirms he was the composer and says he wrote the song "from an English text and motif." 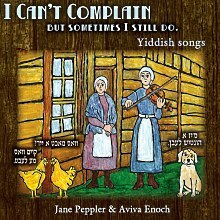 That would be Irving Berlin's deplorable 1909 song "Yiddle on Your Fiddle Play Some Ragtime." 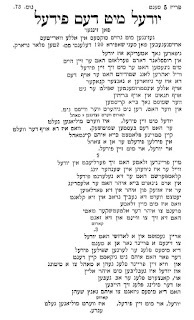 I'd have said the Yidl/fidl rhyme was generic, and the tune and lyrics of the Berlin song are not related to the Zinger song though they seem to have come out more or less at the same time. 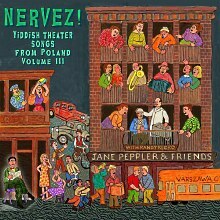 Just been reading the entry for Fishl Zinger in Zylbercweig. 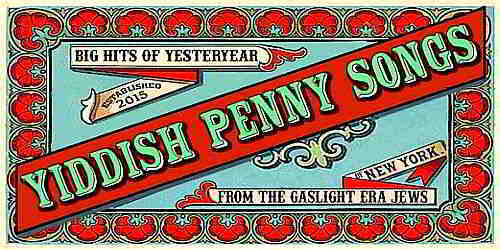 So, he grew up in Iasi ! 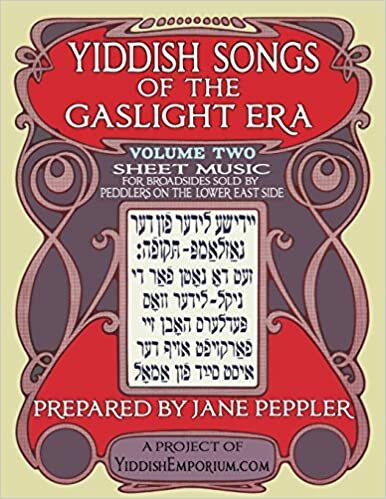 Already a Goldfaden connection. 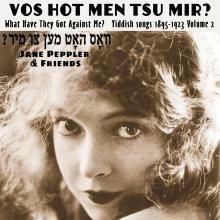 Could this be yet another case of an arranger claiming credit for the composition of a song. 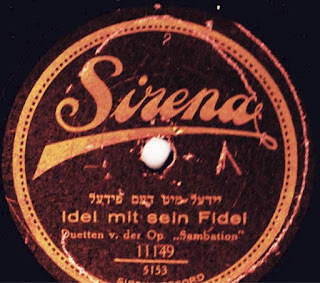 As for the statement that this was based on an "English text and melody", this is puzzling, especially the subsequent claim that this was also sung in other languages, I suspect this might be Zylbercweig's informant, B. Gorin, confusing "Yidl mitn fidl' with Berlin's later "Yiddle on Your Fiddle." 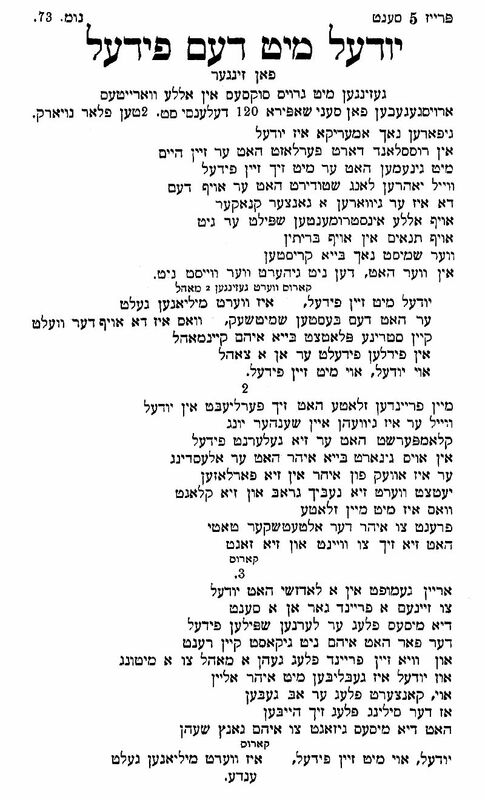 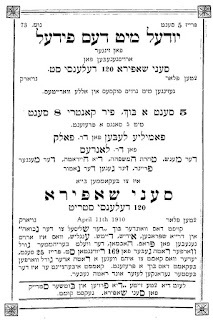 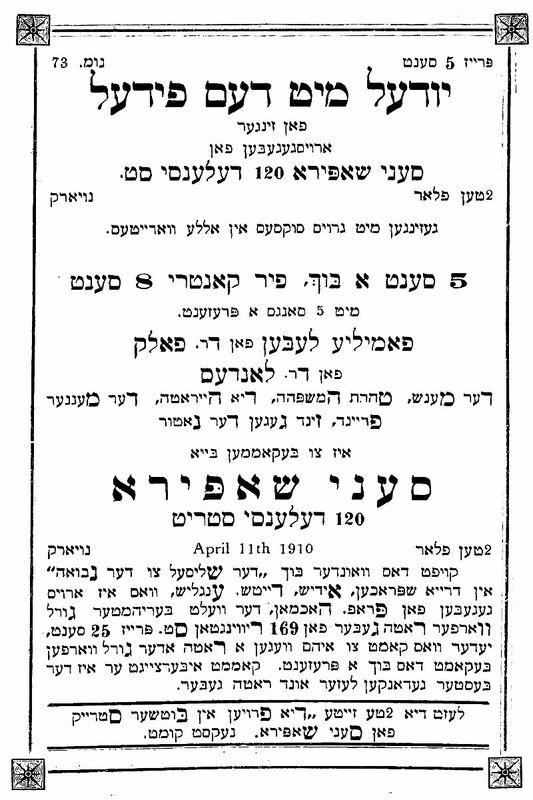 Shlomo Lindenfeld, the great re-appropriator, printed the lyrics in his pamplet Der kupletist in 1912; you can find the text he printed at my other blog. 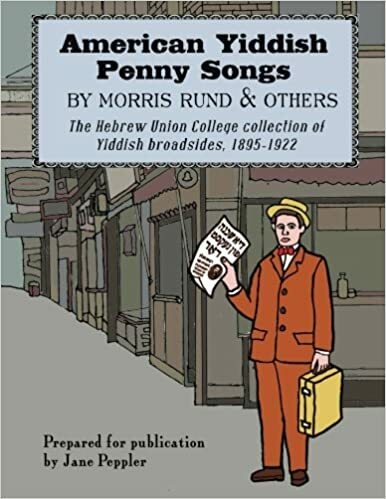 The lyric is full of Yinglish but I don't believe Lindenfeld knew much English at all; this is a reason I suspect he was lifting Zinger's song. 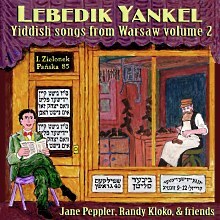 Back to our prototype song: the song in question, Yudel mit zayn fidl, appears in part in the freilachs (freylekhs) medley recorded long ago by Nathan "Prince" Nazaroff, a Russian immigrant to New York who seemed to live that fine line between street performer and bum but who has his own tribute band these days! 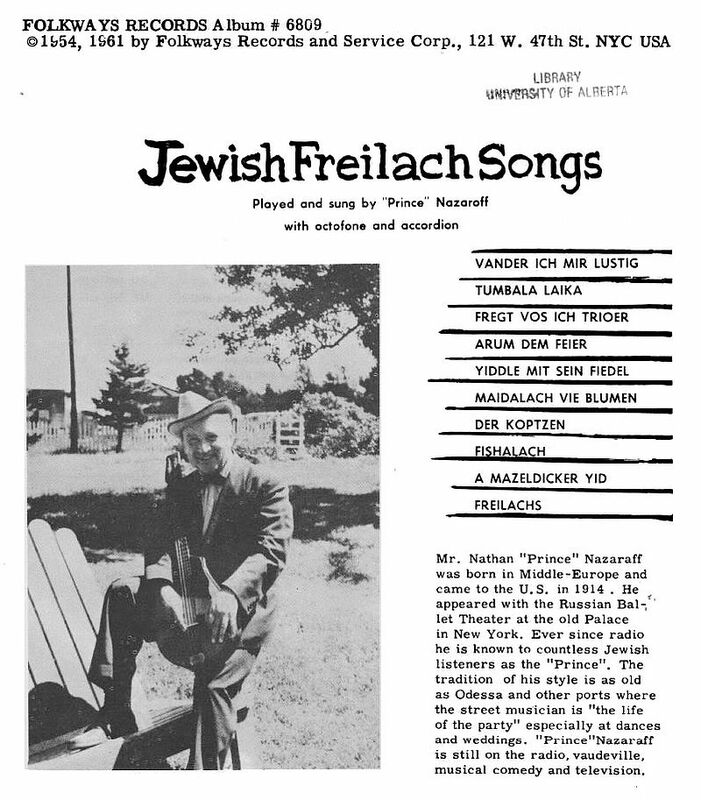 His picture, from his only album (on Folkways of course, 1954) appears above (click for a larger view). 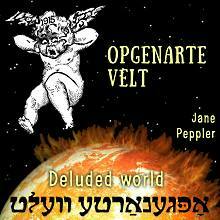 Now the poor thing, she's 'fat' and always lamenting.